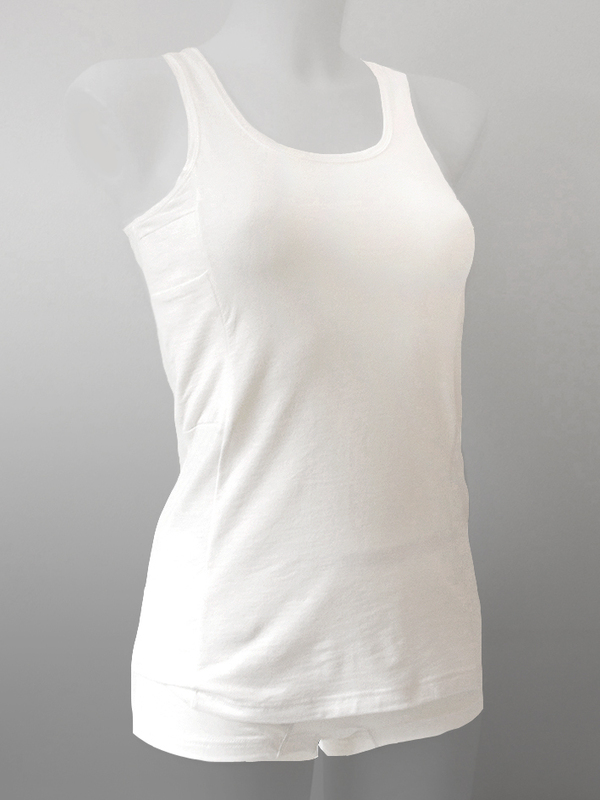 Women’s Tank top – with integrated pockets for insulin pump. 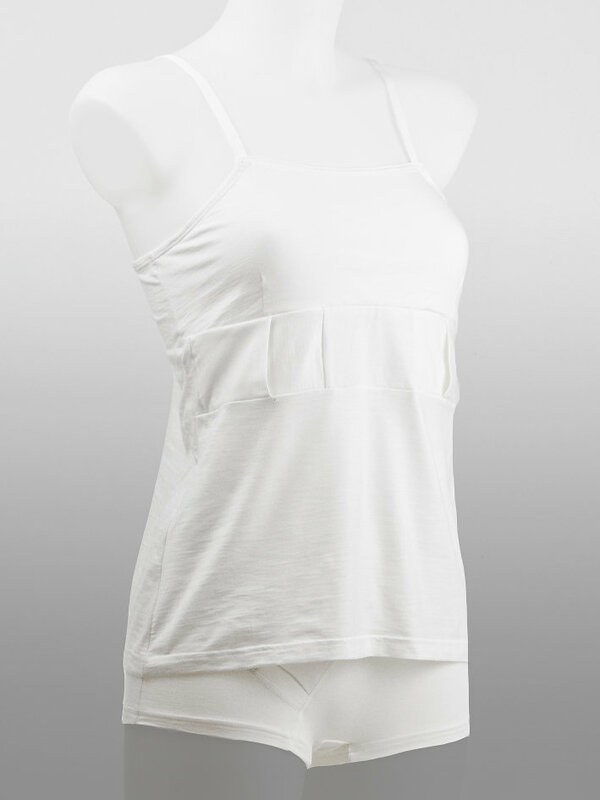 Tanktop in soft tricot with pocket for insulin pump, tight model. For looser fit, consider ordering one size larger. Two integrated pockets placed vertically on right and left side. Pocket model: Boxi4. The pockets have wrap-around openings to be used for opening and closing the pockets from the outside. The pockets also have openings from inside in which you can place the pump. The tubing can easily be placed on the inside of the garment. There is also a small opening at the bottom of the pocket from the inside, for the tubing. Pocket size: Length = 165mm (6,5 inches), Width = 80 mm (3,2 inches), Depth= 30 mm (1,2 inches). 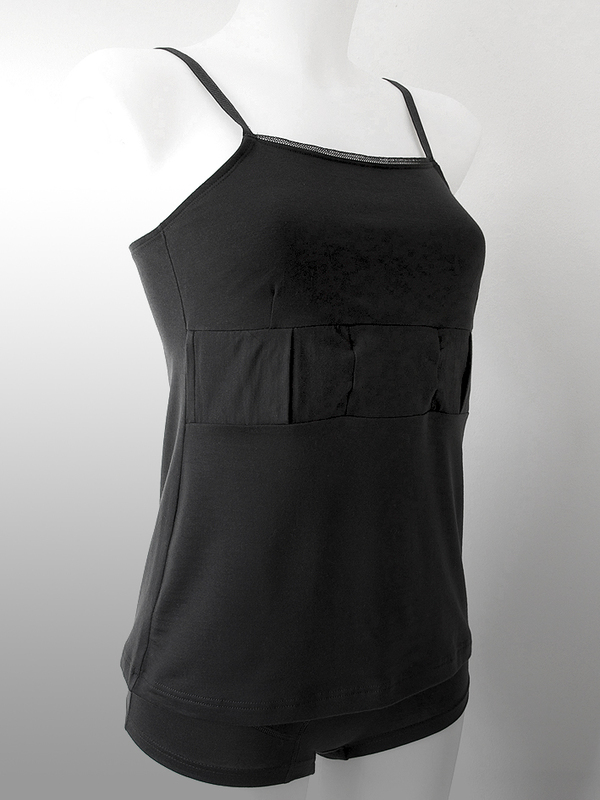 Carrying your insulin pump in clothes with pockets allows you to leave the insulin pump case at home. Safe, comfortable and good-looking.